My impression of the typical "virtual biotech" is a company that is spun out to develop a compound originally discovered in an academic lab, or licensed from a larger biotech. There are only a few employees, usually pharma veterans, whose job is to shepherd the compound from CRO to CRO, and develop just enough evidence that the compound can be sold. Recently, developments in biotech — analogous to the move to cloud computing in IT — may allow for a more complete virtual drug development company. 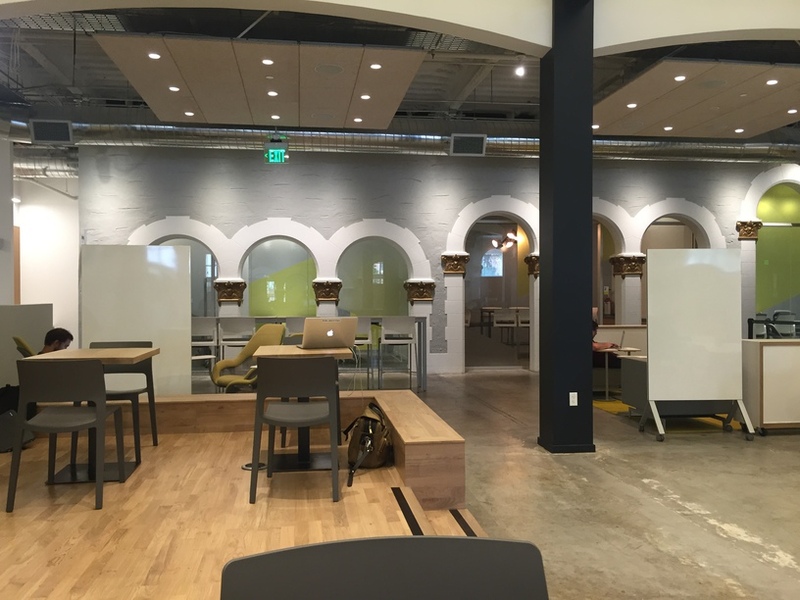 Below I summarize how this might work, and the companies and technologies that enable it. Generally, biologics are going to be a better fit for a virtual model than small molecules. The chemistry of drug development requires very specialized expertise, and large pharma/biotech has institutional knowledge that is extremely difficult to compete with. Also, because small molecules can be made of anything, their off-target effects can be difficult to predict (even aspirin is not completely understood). Nucleotide-based technologies like RNAi (Alnylam), mRNA (Moderna), and CRISPR/Cas9 (Caribou, Editas) would be ideal. Since they are nucleotide-based, binding relies on sequence identity, so it's much closer to a digital system. Theoretically, you can change targets simply by changing the nucleotide sequence, which makes the process much more predictable. Nucleotide binding is generally easier to predict because a 1D search space (the human genome, plus perhaps commensal bacterial genomes) is so much more constrained than a 3D search space (all structures/epitopes present in and on cells). Of course, these technologies have their own issues in that they are new and untested. Protein-based biologics are arguably a good compromise. For example: enzymes (enzyme replacement therapy is worth billions of dollars a year), antibodies (seven of the eight top selling drugs in 2013 were antibodies), BiTEs and CAR-Ts (cancer immunotherapy companies like Juno are showing extremely promising results). These technologies provide a more consistent design template than a small molecule (i.e., DNA), but there is still a lot that remains unpredictable, such as off-target binding for antibodies, or even how the protein will fold. Another reasonable option is to use an existing library of small molecules (e.g., from NCATS) with some additional data that can be mined (e.g., expression changes in model organisms). This process is usually called drug repositioning, and there are indeed many such companies springing up as the amount of available data increases, and methods for prediction using statistical models (machine learning) improves (twoXAR, NuMedii, AtomWise). You can also combine these two concepts, by applying CRISPR/Cas9 to a model organism to create a disease model, and then testing that model against a library of compounds (Recursion Pharma, Perlstein lab). Creating these disease models straightforwardly may be one of the major initial uses of CRISPR/Cas9 (amazingly, now mainstream enough that you can order yours from Agilent). Without the resources of a large biotech, how can a virtual company compete? After all, pharma/biotech has thousands of potential therapies sitting on the shelf. 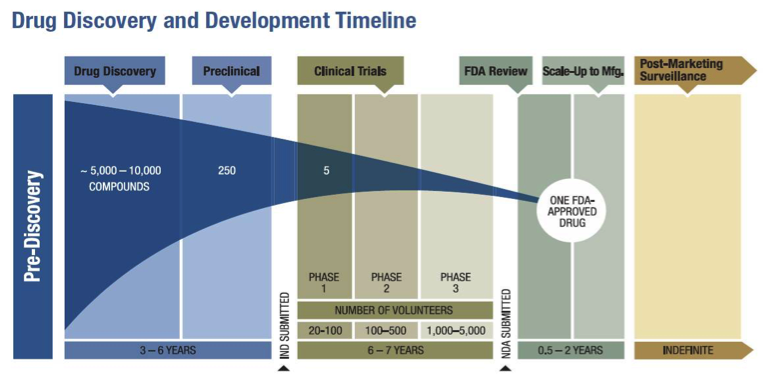 A therapy that works great in yeast, or even mouse, is not necessarily worth much because most of the risk in drug development happens after the preclinical research stage (an orphan disease with no treatments is an easier sell). More Safety and More Efficacy The therapy comes directly from a human, therefore there is some indication that it's safe and effective in a human (X01, Neurimmune). Recent applications of human genetics in drug discovery (e.g., PCSK9 inhibitors) rely on a similar concept. Design: A good example of where protein engineering is important is BiTEs. You can think of two things that should be colocated (like T-cells and cancer cells), and synthesize a molecule that binds both. Find: A surprising fraction of drugs are still "natural products", many discovered through bioprospecting. Recently, with the incredible amount of sequencing capacity available, we can do this at scale from microbes (Warp Drive Bio) or maybe even from humans. Repurpose: You can just try all the compounds in a commercial screening library. They may have already been picked over though! Model organism: Testing in simple model organisms is great, if you have a good model (apparently, yeast is a good model for Alzheimer's) It also helps you parallelize your experiments since you can grow these little organisms in wells. Human cells: This method becomes especially powerful when combined with CRISPR/Cas9, even with a relatively low yield for now. Rooster Bio and Extem Bio are two startups providing MSCs (mesenchymal stem cells — not iPSCs) at competitive prices (Extem claims to have the largest stem cell library by several orders of magnitude). Of course, every large biotech is using stem cells too (e.g., AstraZeneca). Animal: Mammalian animal models (usually mice or rats) are expensive, (probably $10k-100k per experiment) but currently necessary for any kind of serious drug development effort. Since this company is virtual, there are severe limitations on what is possible, so the choice of development methods is extremely important. The experiments must be inherently amenable to virtualization. If you are going to develop a biologic virtually and on the cheap, then you'll probably want to use synthetic biology. The iGEM synthetic biology competition gives some indication of how that might work (list of iGEM projects). iGEM is mostly focused on bacterial sensors and the like, but when the worlds of iGEM and drug development collide it is fascinating. Synthetic biology allows you to iterate on and parallelize your experiments in ways that are very suited to virtualization. For example, if you want to do some mutagenesis on your protein, you can use a kit or write some code to edit the sequence directly. The use of synthetic DNA means you can worry less about the experimental process (purification of PCR products, general lab hygiene) and rely less on the hard-won expertise of lab science. You get increased reproducibility for free. 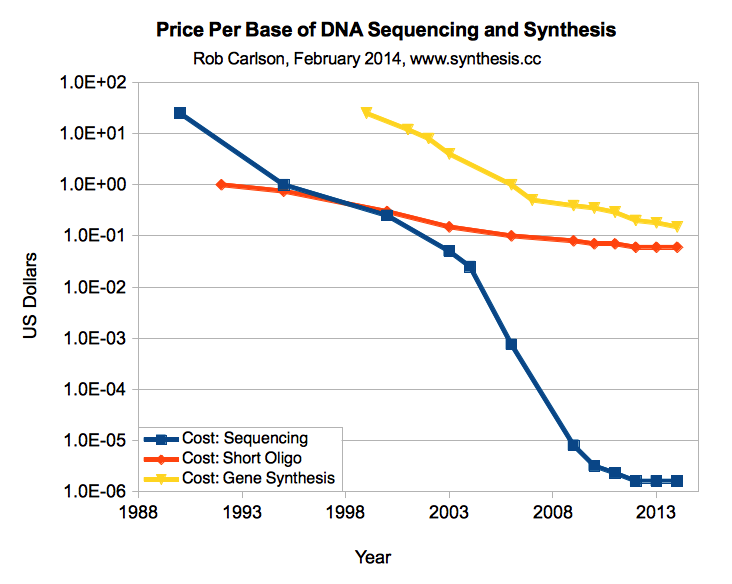 Synthesizing DNA is still expensive at 10-20c per base (that's at least a million times more expensive than sequencing) but companies like Gen9, Twist Bioscience and Cambrian Genomics should be able to bring the price down an order of magnitude within a few years. That will mean $10-50 proteins and antibody fragments, which should enable a lot more kinds of parallel experimentation. You can get a bit of help with designing your vector and protein using software like Genome Compiler or Benchling (as used by Gen9). The other crucial ingredient in the modern virtual biotech is the cloud lab (as I've discussed in several previous posts): Transcriptic, Autodesk Wet Lab Accelerator (in beta just this week, and built on top of Transcriptic), Arcturus BioCloud, Emerald Cloud Lab (in beta), Synthego (not yet live) and Riffyn (not yet live). None of these companies existed just a year or two ago. Just like SnapChat can build a massive messaging app on top of Google App Engine to compete with Facebook et al., and many other lean internet companies build on top of AWS, the virtual biotech should take advantage of scalable cloud services for experiments too. Sadly, you cannot do everything with synthetic biology and cloud labs just yet. For experiments that don't fit into these boxes, there is always Science Exchange and Assay Depot. There are also a couple of exciting stealth animal experimentation startups coming out soon too! The CRO world, like IT vendors before the era of AWS, is set for disruption.